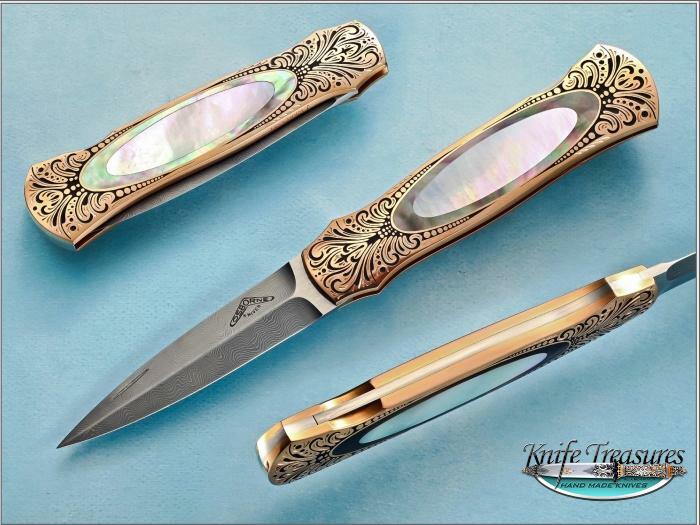 A Magnificent "Solid Gold" frame Folder by Warren Osborne delicately engraved by Julie Warenski. This beautiful piece has a damascus blade and it is marked #001. The inlays are Of a Mother Of Pearl Oval in the center surrounded with a Black Lip Pearl Oval around it. Simple Elegance!